Despite considerable improvements in assessment of embryo quality in infertility clinics, outcomes in terms of take-home baby rate have not improved substantially. Failure of the endometrium to achieve receptivity and the timing of the receptive period are now recognised as important issues in the success of IVF. Indeed, immunohistochemical and morphological studies show that the endometrium is highly disturbed in any cycle in which ovulation induction is performed, leading to recommendations that all embryos be frozen and replaced in a non-stimulation cycle. 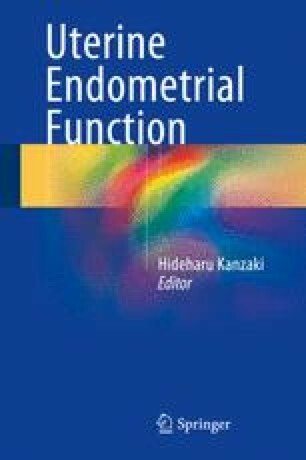 Assessment of any woman for endometrial receptivity either in cycles prior to treatment or testing for the potential for an embryo to implant in the cycle of transfer is urgently needed. However, careful consideration must be given to issues such as sampling, timing and rapid delivery of results as well as the best biomarkers, to enable in-clinic decision-making. Here these issues are considered, along with how endometrial receptivity testing might best be performed to optimise outcomes of infertility treatment. Work in the authors’ laboratory is supported by the National Health and Medical Research Council of Australia by Fellowship (#1002028) and project (#1047056) grants, the Monash IVF Research and Education Foundation, the Merck Serono grants for Fertility Innovation and the Victorian Government’s Operational Infrastructure Program. Society for Assisted Reproductive Technology: IVF success rate reports. http://www.sart.org. 2011.